ATLANTA — Woof, woof, woof! That was the Bulldog chant ringing through the sunken bowl stadium of the Atlanta Tennis Championship. 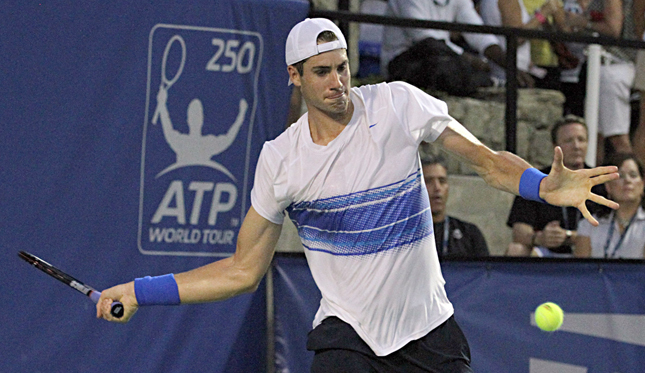 John Isner, four-time All-American at the University of Georgia, pulled out a close three-set match against James Blake, his close friend and doubles partner here in Atlanta 7-6(8), 6-7(3), 7-5.